Opens in 1 day 11 h 32 min. 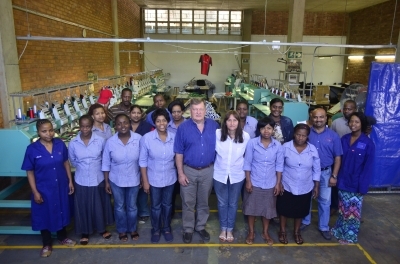 Embroidery Studio is a Pinetown based embroidery company which offers complete embroidery related branding solutions. Follow our 5 easy steps to get your embroidered garments. 1. Use our handy online mail order form or contact us directly. 2. Send us an example of the artwork. We'll digitalise it & email a strike-off ? or you can collect the sample at our factory. 3. If you like what you see you can seal the deal with a 50% deposit. 4. Send us your garments or select what you need from one of our Suppliers' Catalogues & we'll buy them for you at Wholesale Prices. 5. We work night and day to deliver, courier or speed-post the orders to you ASAP! Be the first to write a review for Embroidery Studio! Embroidery For Stores Corporate branding throughout your business is impressive and effective - why not embroider your logo onto your staff's uniforms? Embroidery For Restaurants Get your waiters' uniforms branded using innovative embroidery solutions.